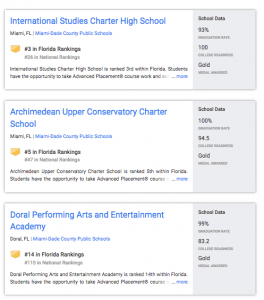 Florida – May 9, 2018 – Florida Charter High Schools Rank Among the Best in America according to a US News & World Report released on May 8, 2018. 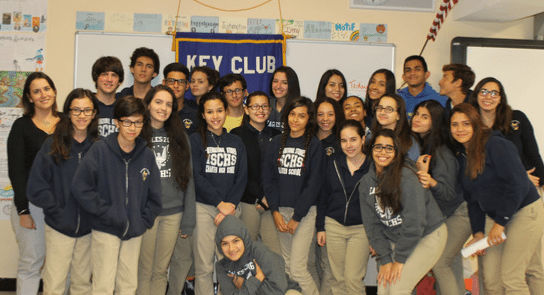 Among the top schools in the state are Title 1 programs serving a large percentage of minority families which also happen to be some of the highest performing charter schools in Florida. The US News & World Report ranking reviewed the 5,948 public high schools in the country and based its list on the schools level of college readiness and graduation rate. 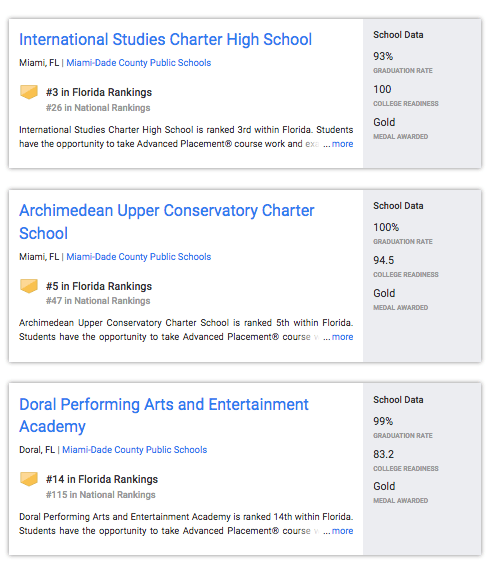 According to the US news Best High School website, “of the Florida institutions that ranked among the 2018 U.S. News Best High Schools, 36 earned gold medals, 135 earned silver medals and 68 earned bronze medals.